It’s common to have varying views of your infrastructure based on the vendor and whether it’s on-premise or in the cloud. Too many management tools make it time consuming to troubleshoot across your infrastructure. At the end of the day, you need to keep your business and customer apps up and running efficiently. Better predict, prioritize, and resolve issues before they impact end users. Powerful dashboards allow you to drag, drop, and overlay performance metrics from multiple sources—network, virtualization, and storage—to help with faster troubleshooting and resolution. Monitor across technologies and vendors. 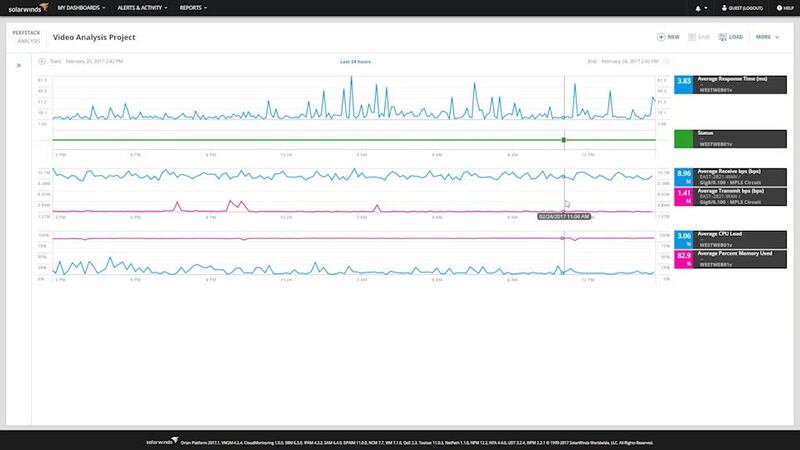 Comprehensive performance monitoring with correlated alerting and shared views across your infrastructure can help pinpoint application and system performance issues for faster resolution. One view into cloud, hybrid, and on-premise infrastructure. Monitor and manage your Amazon (AWS) instances and Microsoft Azure workloads from the same console as your on-premise environment. Actionable performance monitoring and capacity planning. IT Operations Manager is built to identify performance problems quickly, before they affect your application performance, and run modeling scenarios to help learn how best to support new workloads. Actionable intelligence can provide active and predictive recommendations with single-click remediation of performance and resource allocation issues. Be able to quickly visualize cross-server communication and map application dependencies to see a complete picture, helping you pinpoint the root cause of application performance issues. You can also identify where application issues originate generally in just a few seconds. Get up and running faster with customizable monitoring templates and pre-built alerts and reports. Features Overview Maximize your IT Infrastructure.